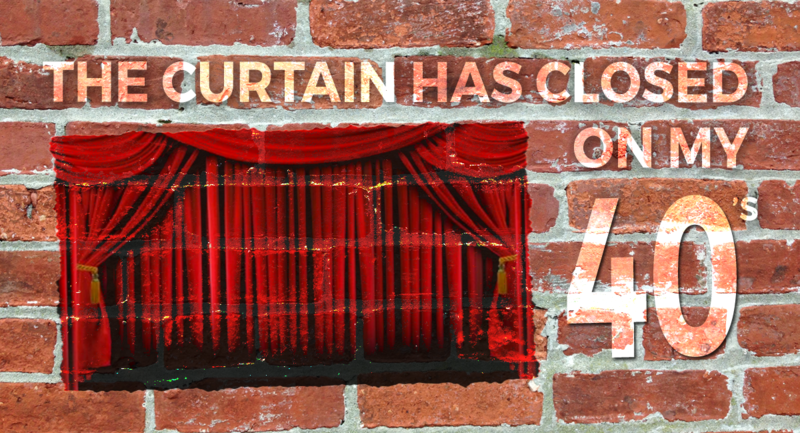 Well, last night the curtain closed on my forties, which means that today it opens on my fifties. For the last few years I’ve had a sinking feeling about the arrival of this day. Mainly because from 47 though 49 I thought of myself as “late forties”, but at 50 it’s really hard to think of yourself as anything more than “middle aged”. Of course, if we’re lucky enough to get 70 years, then I guess 35 is really the middle, so welcome to “middle age” my 35 year old friends. Last night I celebrated my last day of 49 by watching the opening night performance of the Arthur Miller classic Death of a Salesman at Live Arts here in Charlottesville. The Pulitzer Prize winning play tells the story of Willie Loman, a washed up traveling salesman who has a hard time recognizing the emptiness and ordinariness of his life and whose desire to make the necessary changes is just not quite strong enough. It’s a brilliantly written story that some find depressing, but in it there is a painful hope as Willie’s son Biff comes to terms with his own emptiness and takes charge of his life to begin the process of change; to pull out of the downward spiral that consumes his father. In many ways Willie Loman is “everyman”. His emptiness is our emptiness. His ordinariness is our ordinariness. His struggle to make a better life is our struggle. Even in hard circumstances we see glimmers of hope of how life could be better. Sometimes we pursue that hope and the doors open, but like Willie, sometimes those doors close. I don’t believe in happenstance — I believe in design. Which is why I had to be in the audience of Death of a Salesman on my last night of my forties (an audience who, by the way, gave a standing ovation to the cast of the show — Bravo!). Over the last week as my turning 50 drew nearer I began to have an amazing (even surprising) sense of peace about this big day. And guess what I realized? It’s you, my friends, who will make “middle age” so wonderful. When I was in my 30’s I didn’t have many friends in their 60’s and 70’s, but now in my 50’s I do. I also now have many friends in their 20’s and 30’s. This alone is going to make my middle age 50’s an enormous joy; the wisdom of those ahead of me, and the crazy adventure of those coming into their own behind me. In many ways I feel like I’m perfectly balanced on one of those old school teeter-totters; my older friends on one side and my younger friends on the other… perfectly balanced. So as I stand on the edge of a new decade of life allow me to make a declaration (my anti Willie Loman declaration). As long as God allows me to stand on this great green earth I intend to do the following: to create out loud (films, art, beauty), to emote out loud (tears, laughter, joy), and mostly, to love out loud (family, friends, even enemies). I hope you will help keep me accountable to these passions and that you may even be inspired to pursue your own.